Propofol-paravertebral anesthesia (PPA) is a unique combination of paravertebral nerve blocks (PVBs) and propofol that regulates the cellular microenvironment during surgical period. Growing evidence points to its ability to attenuate perioperative immunosuppression of cancers. Abundant studies show that cancer patients who undergo perioperative PPA exhibit less recurrence as well as metastasis. Breast cancer remains a leading cause of cancer-induced death in women. Over the last decades, increasing concerns have been put on the promotional role of PPA in the prognosis of breast cancer patients. 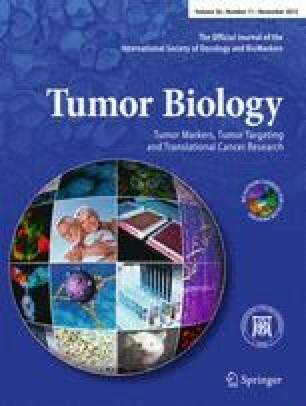 Among them, PPA participates in several bioprocesses in the development of breast cancer, including inhibiting hypoxia-inducible factor (HIF) activity, elevating serum concentration of nitric oxide index (NOx), depression of the neuroepithelial cell transforming gene 1 (NET1) signal pathway, blocking the nuclear factor kappa B (NF-κB) pathway following an decreased expression of matrix metalloproteinase (MMP), increasing NK cytotoxicity, and affecting transforming growth factor (TGF)-β-targeted ras and HER2/neu gene pathways. In this review, we discuss the effect of PPA on breast cancer metastasis and progression. This will provide an alteration pattern of surgical anesthesia technique in breast cancer patients with poor prognosis. Xiu Chen and Peng Lu contributed equally to this work. This work has no fund. We thank Shan-Liang Zhong, M.D. for his discussion and help in the revision.